Hey there, spellcasters! We’re in the thick of our Kickstarter campaign which is going strong. We’ve also got some updates on our Steam Greenlight, as well as some updates to our in-game environments. Our Kickstarter campaign is doing well; with 212 backers, we’re currently at 25% funded with 25 days to go. However, we aren’t out of the woods yet; the first week is typically where the most funding comes in. Please help us out by backing us if you have not already or by sharing our game with your friends and family, as well as social media! Fictorum has been killing it on Steam Greenlight. 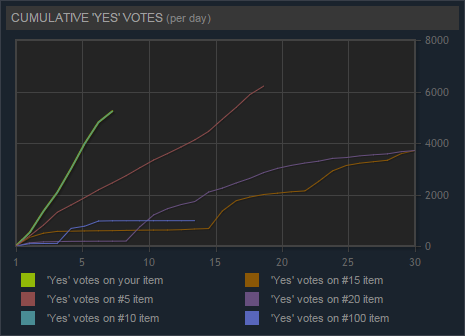 At the time of writing this article, we are currently #9 on Greenlight and still climbing! Feel free check us out on there if you haven’t yet. We’ve gotten a lot of feedback from our backers and the Greenlight community—One bit of criticism that has been rather consistent is our environments, which are admittedly, rather boring. Greg spent some time this weekend showing what he can do to improve our level design. This is the level of quality that you can expect for our levels going forward. It’s going to take some time for us to completely update all of our existing levels, but we plan to have that completed before the end of our Kickstarter. We’re planning a developer Twitch stream tomorrow (6/28) at 8pm PDT. Come on by if you’d like to watch a play-through of Fictorum and hang out with the devs!